Welcome to the talk-page of pchart4mw. Discussions can be done on this page. We are also very interested in hearing (and seeing) how pchart4mw is used. If you'd like to let others know how you use pchart4mw and can add a link to your site that would be awesome. We're glad to hear from you and that you're pleased with the extension. We have no plans in that direction, at least not yet. We have released a new version of pchart4mw (version 1.1.0 on June 11th 2010). This version of pchart4mw can now be used as parser function. This enables integrating pchart4mw's charting capabilities with other extensions like Semantic MediaWiki (SMW). Now this will be more easier and more better. Thank you for your response, please let us know if this new version works as expected with SMW. If your site is a public site we'd appreciate a link as well. the x-axis labels become overlaid on top of each other until all you get is a grey line - i.e. there is no setting to say "show 5 x labels", giving me just "0, 100, 200, 300, 400, 500", on the x-axis. The extension seems to be hardwired to show every x-label as it has been entered in to the data. We've looked in to it. Indeed it was a missing feature in pchart4mw. We've added this feature for you. We just released a new version of pchart4mw version 1.2.0. This version now has a new parameter skiplabel=x where x is the number of labels to skip. We hope this will work for you. Hi, I'm having a problem where the labels for the y-axis are not showing up properly when I use floating point values. This problem is also solved in the new version 1.2.0 of pChart4mw. We've added a parameter decimals=x specifying the number of decimals to show on the y-axis. We hope this will work for you. Yes it does. This configuration option is available for situations where many charts change often. These situations can consume a lot of processing power from the server in creating chart images. Creating chart images is a CPU intensive process. Depending on the charting intensity on the wiki a site might require more powerful server processing capacity. pchart4mw's web service option is specifically created to enable separating the processing for creating chart images from processing for the main wiki site. However, any site with moderate changes of its charts should have no problem and should run perfectly well without a pchart4mw web service configuration. Make sure you really need this. No, see manual: http://code.google.com/p/pchart4mw/wiki/SiteMaintenance or extensions page under 'maintenance of your site'. Just to clarify, this extension doesn't use any online services (like Google Chart APIs, etc); everything is done locally? Indeed: This extension doesn't use any online services, it does everything locally on your MediaWiki installation. You don't need an external network connection to generate graphs. This way your chart data from the wikipage is not send to any online service. Hehe, I've been experimenting with pChart4mw and Extension:External_Data because that's naturally what you'd want to do, right? Now, I don't know if it's a pChart4mw or an External Data issue, but is it possible that pChart4mw is not parsing the <nowiki /> tag correctly? If it is not supposed to, can it be something to be added in the future? Now you can use external data or other extension/template that doesn't insert a \n on every new line. You will just have to use any of the separators defined, or just change the regex yourself. Hello Scholtalbers. Thank you for the suggested code change. Since we're not familiar with the external data extension (and currently have no time to figure it out) can you provide us with a full working example? A full sample of the text including all the external data functions you use. No I am sorry we do not have a test or trail site. Installing (and uninstalling) this extension is pretty straightforward just like any other extension and detailed configuration settings aren't required. So to try this extension you have to add it to your wiki. Is there an parameter that will print the value of the data points on the Pchart4mw created chart? I have seen examples of this on the http://pchart.sourceforge.net/ but can't figure out how to do it with Pchart4mw. Sorry, this feature is not implemented in pChart4mw even tough pChart is able to do it. I would be interested in this feature if it could be made available. Thank you for the great extension! I have been attempting to create charts with the filled parameter; however, I have not be able to create a successful chart without the use of "cubic" with conjunction of "filled". Thank you for reporting this. Is was a missed feature. A new release (version 1.3.1) is now available for download that solves this issue. pChart 2.x is born, you can start moving your script to this new version. The new website is at www.pchart.net. We are aware of this new version of the pChart library. It is a major release and moving pChart4mw to use this new library is a major task. We have no plans yet to update pChart4mw to pChart 2.x, pChart4mw will remain using the old version 1.27 of the pChart library for some time. I sometimes get errors where editing a page with pChart4MW on it, where the page hangs. This is an old issue with 1.x pChart, and related to scaling. The scaling is done in a loop which can sometimed never exit. A few solutions are also listed here, though all are really hacks. You will see a lot of PHP info as output. Search for "freetype". Under the header gd you'll see if GD and freetype are enabled. When I past the examples in, I get lovely graphics, but no text! I am on a case-sensitive file system, and I renamed fonts/ to Fonts/, to no avail. Any clue why there would be no text showing up? Can you please tell me how to display and select the number of decimal places in the pie percentages? Does this extension work with 1.18? I'm getting an error message after install. I see "freetype" and "gd" in there but not sure if it means I have what you are talking about? If it's yes to both above then I'll have to figure out why I get error message. Hi all. First of all, thank you for this awesome extension. It really helps me! I've just written simple patch for pChart4mw. It allows to draw threshold line (with specified color) (see details here drawTreshold method) on the chart. BTW, I submitted new Issue on project site and attached sources there. It would be great, if you commit my patch. And you'll got something like this. Hi. I love this extension already and I've been very impressed by the clean and concise documentation that accompanies it. One thing I haven't been able to do so far is to add inline wiki links to the chart labels. I don't suppose this is possible? We are currently upgrading our mediawiki stack from 1.16.2 to 1.20.2. We were using Pchar4mw (version 1.3.0). Along with mediawiki stack upgrade, we are planning to upgrade even the extension version to what ever latest currently available (1.4.0). But in http://www.mediawiki.org/wiki/Extension:Pchart4mw, we see that it is supportable only till 1.18. can any one could let us know if this would break upon using in 1.20.2 stack? PHP crashes because $Factor==0 in pChart.class and I get a division by zero. Is there a chance to build a chart with one bullet and the legend? I need that for automatic generation of charts. In the first step I have only one dataset. 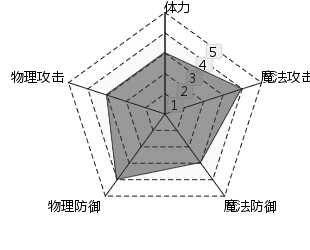 I have some chinese characters in label, and the font is Chinese-support font, but the result graph is like the cache. All the labels are not showing properly. Creating a line chart with data from SQL Server Using ExternalData and ODBCDatabase. charts are working fine but while refreshing the page chart is not showing the up-to date data showing old data only. while clicking the show preview button we can able to see the up-to date chart. Content in pages is cached in the parser cache. Try editing the page, don't change anything, and save. If that works, it may be a bug of the extension, that needs to disable the parser cache for pages using the extension. You can try contacting the maintainer to report a bug.